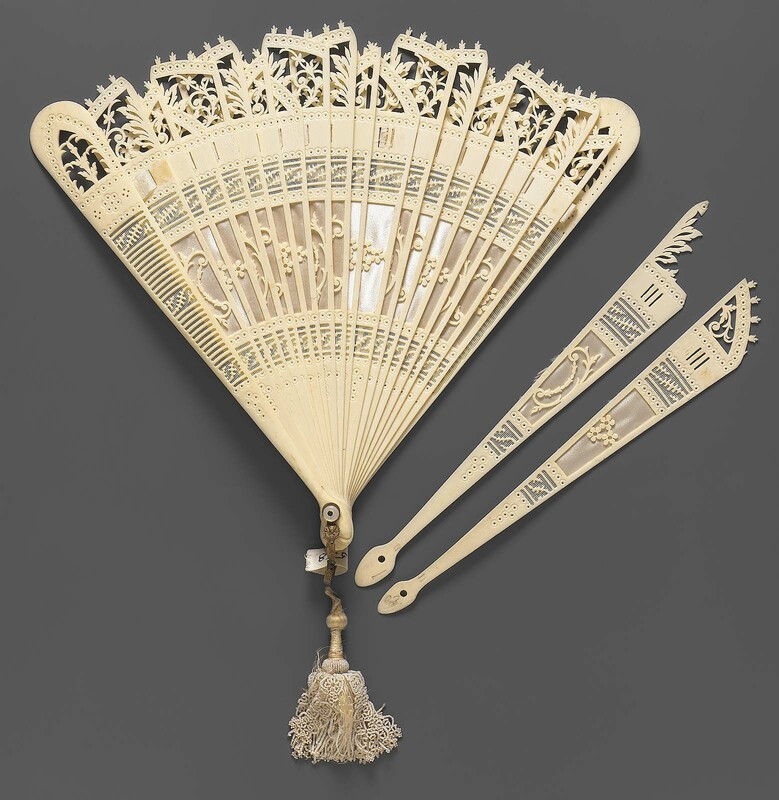 Bone brisé fan with pierced blades create a lace-like effect at the top and floral vines running across the center over a whitish silk satin backing. White plain weave connecting ribbon. There is a white silk and beaded tassel hanging from the rivet.